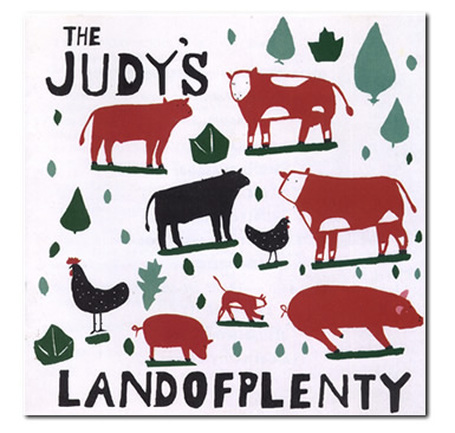 In 1990, The Judy’s set out to record a new album with a new Judy’s sound. Featuring the lineup that had been established over a number of years the band, including Barbara Donaho (keyboards/guitars), Lee Malone (bass), and Darwin Keys (drums), set out to explore new horizons musically and thematically. Land of Plenty injected multi-layered keyboards and guitars, stacked vocals, a gospel choir, and even a bit of banjo into the band’s palatte and sought to realize Bean’s vision of a new Americana musical landscape. Broad in its scope and daring in its expansion of the band’s definition of itself, Land of Plenty was shelved when the group disbanded before the CD’s release. While a handful of copies have been given out, this is first time this long sought-after project has been available to the general public.